Fred Tedesco was born in 1938 in Buffalo, New York. He enlisted in the U.S. Army on July 5, 1956, and completed Armor School at Fort Hood in December 1956. Tedesco was then sent to Korea where he served with the United Nations Truce Team until 1958. His next assignment was to Fort Bliss, Texas, followed by a tour with NATO at Izmir, Turkey. 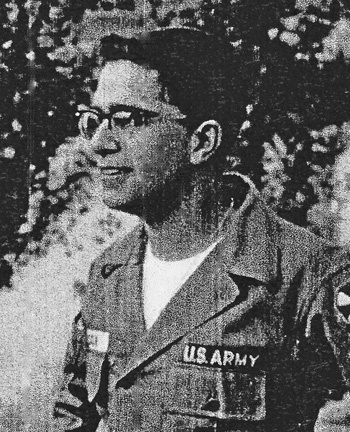 Tedesco then served with the Military Assistance and Advisory Group (MAAG) in the Republic of Vietnam in 1961 and 1962. He was then assigned to Fort Jay, New Jersey, and left active duty in August 1963. Sgt Tedesco joined the Army Reserve in 1974 and served on inactive reserve duty until 1984. After serving 2 years on active duty with the reserves, he transferred to the New York Air National Guard, serving as a Fire Fighter. In April 1987, Tedesco went into the New York Army National Guard where he served on active duty with a counterdrug program in Buffalo, New York. 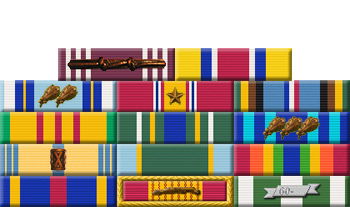 He retired from the military on December 31, 1993.